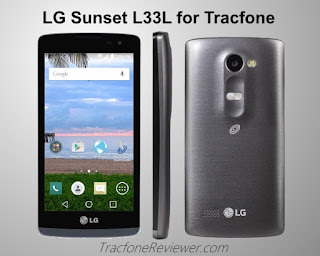 This post shares the latest details on the LG Sunset from Tracfone. The Sunset is the second Android smartphone from Tracfone that uses GSM service. It is the first smartphone that is 4G LTE capable. This review by TracfoneReviewer, while cover the important specs and features, and include a comparison to other devices, and where to buy the phone. 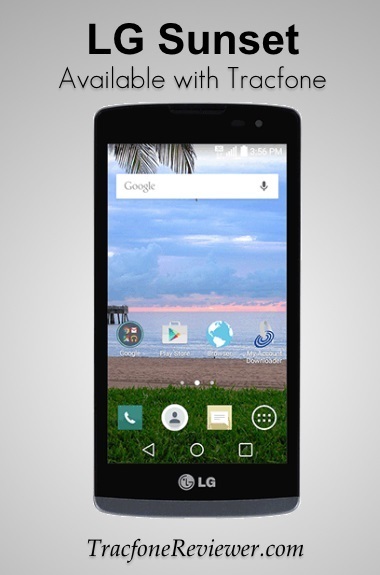 Tracfone has released the first 4G LTE capable device for use with their prepaid service and it is called the LG Sunset (LG L33L). It is also unique being only the second Android device available for use with GSM networks. The LG Sunrise L16G (hopefully we won't get confused), is also a GSM capable device released by Tracfone, but with a smaller screen, lesser specs and no 4G. Update - It appears that Tracfone is also retailing the LG Destiny (L21G), which is exactly the same as the Sunset as far as we can tell. For those who might be unfamiliar with Tracfone, they are a wireless prepaid service provider who also offers cell phones to use on their low cost service. Tracfone contracts with major service providers like AT&T and Verizon to use their networks for Tracfone prepaid service. Tracfone also allows users to bring their own phones to Tracfone, recently adding GSM devices to their list of CDMA smartphones approved for use. Visit our Tracfone BYOP page for more information on that. Over the last few years Tracfone has steadily closed the gulf that had opened between the phones they offered, and the phones available to consumers on other networks. At first we got very basic Android devices that were seriously lacking. But slowly more CDMA smartphones with better specs appeared. And now Tracfone takes another step forward in closing the gulf (or, at least, not letting it get wider), but releasing the first 4G LTE capable device. Tracfone had already been allowing customers to bring 4G LTE capable devices to use with Tracfone BYOP by purchasing an Activation Kit, but the LG Sunset is the first phone available directly through Tracfone. Well, enough about the background details, let's take a look at this Android smartphone and see how it stacks up. Size: 5.11" x 2.55" x 0.43"
A great list of features and specs for the Sunset, but does it remind you of another phone? It should! It has the same features and specs as the LG Power (L22C) and LG Destiny (L21G) except for the 4G LTE connectivity. In case you were wondering, the 'L' in the Sunset's L33L name is for LTE. (However, the LG L21G is also listed as featuring 4G speed). Let's get into some of the things we like and dislike about the LG Sunset. We will begin with the features we like best. The Sunset is a really great device, so it is easy to run down a list of the features we are excited about in this device. The screen size is the same as the LG Power and LG Ultimate 2, at 4.5" which is a convenient size for most people. Just like the Power, the LG Sunset comes with 1 GB RAM, 8 GB Internal Memory and a 1.2 Ghz Quad Core Processor. These are all very adequate and about the best you can get from Tracfone at this time. The Internal Memory is 8 GB, but closer to half of that is actually use-able. 4 GB is enough space for a variety of apps, but you won't be able to fit your music or video library on the phone without an External Micro SD card. Android 5.0.1 is another prominent feature of the LG Sunset. If you prefer this newer version of Android, you will be happy to see it on the Sunset. The biggest feature on the LG Sunset is the ability to connect to 4G LTE service through AT& GSM cell towers. Tracfone has contracted with AT&T to use their existing network of service to run Tracfone devices. With 4G LTE you get faster download speeds when surfing the internet on your phone so less time waiting for a video to load. Previously, Tracfone only had Android smartphones available on Verizon CDMA networks, limiting consumers who didn't have good Verizon coverage in their area. Now you have another option in AT&T GSM service. We are very excited about the 4G LTE feature this phone offers, because it is another step forward for Tracfone, getting better and better devices to use on their low cost network. For a quick comparison of all the Android devices on Tracfone, visit our Android Tracfone List. While there is not a lot we've found about the LG Sunset we don't like, there are a couple of features we would like to see improved. The rear camera on the Sunset is fairly good with 5MP and autofocus. However the front camera is only 0.3 MP. This is adequate for video chatting, but might be lacking if you started taking photos in challenging lighting. We would want this phone to come with a better camera. Internal Memory on the LG Sunset is modest, with 8 GB total, but about half of that used by the Operating System. This leaves around 4 GB for storing everything you plan to load on your device. There is an external Micro SD card slot, but not everything can be transferred. Tracfone customers have been longing for a device with better internal memory, and hopefully we will get something with closer to 16 GB in the near future. Finally, none of the Android devices from Tracfone can be used with Tracfone Promo Codes. You do get Triple Minutes for Life, and minutes are split into text/data/calling, however, promo codes often help many users get enough minutes for their needs. That covers the main points for the LG Sunset. Remember, you can also check out our Review of the LG Power for additional details and comments, because these phones share many of the same features. So how does the Sunset compare to some of the other phones offered by Tracfone? Well, as you should be aware of, the LG Sunset is basically the same as the LG Power and LG Destiny except for the 4G LTE on GSM networks. If GSM coverage is better in your area, then this phone is your best choice. Compared to the LG Ultimate 2, the Sunset has slightly better specs, like a quad core processor, but abuot the same amount of internal memory. The only reason to switch from the Ultimate 2 would be if you preferred 4G LTE coverage on GSM networks. As you can probably tell from this review, the main feature for the Sunset is GSM 4G LTE coverage. So if you would rather have GSM coverage, this phone is one of the best options currently available from Tracfone. If you're not quite sure about what GSM means, visit our guide to the Difference between GSM and CDMA. So how does the LG Sunset compare to phones you can bring to Tracfone BYOP's GSM service? Well, as you should expect, bringing your own device to Tracfone allows you to access many more options, and most of them are better than the LG Sunset. The Moto G (2nd Gen), LG U2, Samsung Galaxy S3 and other devices in this range can be found for around $200 and will generally come with better and/or larger screens, more internal memory, and perhaps similar or slightly better other features. But if you want to avoid the possible hassles of finding and activating a device on Tracfone BYOP, the Sunset is a great alternative. Visit our Tracfone BYOP page which also includes a list of compatible devices, and lots of comments from uses with their experiences and questions. 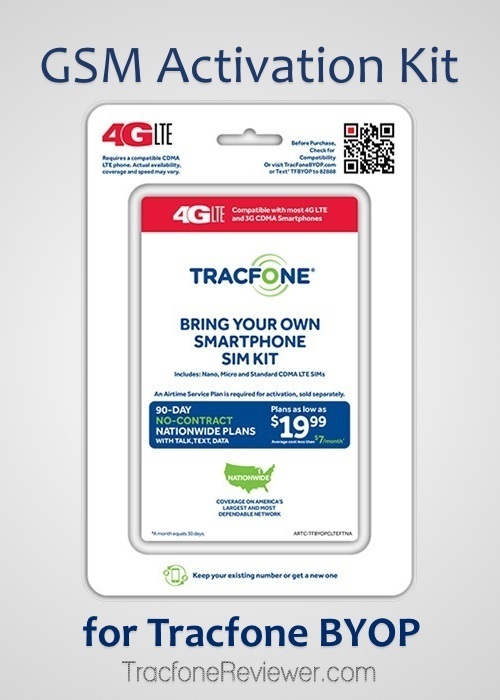 You can also see our recent post on where to find a GSM Activation Kit for Tracfone BYOP if you're ready to give it a try. We hope this helps you gain a better idea of how the LG L33L Sunset compares to other devices available. We would recommenced it if you are looking for a new device and prefer GSM coverage. We also expect Tracfone to continue to release new devices for GSM, however we don't know what kind of schedule this will follow, or if the devices will be any better than the Sunset. Overall the LG Sunset is a good device, and a great option if you are looking to buy a smartphone int he near future. We haven't seen the Sunset available on the Tracfone website, but it is available through several other third party retailers. The LG Sunset was offered for a limited time on HSN for $130 with a 400 Minute/1 Year card, but the price has increased to $150. We haven't seen the Sunset anywhere else yet, but will update as more buying options become available. There are plenty of LG Sunset cases on Amazon, because the Sunset shares the same form as the Destiny, Power, Leon and several more devices. You can take a look at the Interactive Tutorial for the LG Sunset to learn more about how the phone works. If you're new to Android, you might find our List of the Best Android Apps a good place to start and see all the different possibilities. Also take a look at our post on How Minutes Work for Android Tracfone Devices. This informative post shares some of the differences between Android phones and Non Android devices, and what it means for your minutes. Keep up with the latest information and posts from us by joining over 1100 followers on Facebook! Thanks for visiting and leave a comment with any questions or thoughts on this new smartphone. This information regarding bringing GSM devices to use with Tracfone is brought to you by TracfoneReviewer and we will continue to update and share additional information here as we know more. Stay tuned! Tracfone Wireless appears to finally be allowing GSM users to bring their smartphones to use with the BYOP program. We've seen various signs of this over the past few months, and now it is becoming a reality. Order a CDMA/GSM activation kit on the Tracfone website, have an AT&T compatible GSM device, follow the online instructions, and you should be up and running. It sounds simple, and maybe it is, but stick around as we look into bringing GSM devices to Tracfone. For those who might not know, Tracfone is a low cost prepaid service provider. They also sell phones to use with their low cost service, as well as allow consumers to bring certain smartphones to Tracfone. Until recently, you could only bring Verizon compatible CDMA phones to use with Tracfone. This was great, but for those who live in areas without Verizon coverage, you were out of luck. But now Tracfone is offering the same option of bringing your own smartphone to use on Tracfone's GSM network (through AT&T). It also appears that Tracfone has released at least one GSM smartphone, the LG Sunrise. Well let's jump straight into what you're probably looking for, how to get your unlocked GSM phone activated with Tracfone. To add your unlocked AT&T (GSM) or Verizon (CDMA) 4G LTE device to Tracfone you will need a NAC (Network Access Code) and SIM card. You can get both of these in a Tracfone Activation Kit. You get everything you need to activate either a CDMA or GSM smartphone in one kit from Tracfone. At this point, you can find the Kit in stores, or online at the Tracfone website. We received the kit in about a week, coming with both the kit and minutes. Once you have the kit, and a phone, you can get started by visiting the Tracfone byop site and following the prompts for adding your phone. In some cases, consumers have had a quick and simple process of activating a new phone, while others have faced some challenges. We will share additional updates on this once the kit arrives. Should you Choose GSM or CDMA? For quite a while now, Tracfone only accepted smartphones that used Verizon CDMA service. This limited smartphones to only those in areas with good Verizon coverage. Now that is changing as people in GSM areas with AT&T coverage can also use smartphone with Tracfone service. But which one is right for you? We created a resource that goes into the Difference between GSM and CDMA that you can take a look at if you are not sure about your situation. For more information about bringing your own phone to use with Tracfone, visit our Tracfone BYOP page. Will Tracfone Release more GSM Smartphones? This is a common question we see, although usually it is, 'Will Tracfone release a GSM Phone soon? ', but now that the LG Sunrise has appeared, we expect Tracfone to continue to, although perhaps slowly, release newer and better GSM smartphones. We saw this with the CDMA smartphones, and Tracfone has continued to offer newer devices with better specs. So if you don't want to try bringing your own device to Tracfone, it shouldn't be too long before more GSM smartphone options are also available. Check out the comments section below and leave a comment with your questions or experiences using Tracfone BYOP, and if you've been able to activate a GSM phone on their service. Also visit our Facebook page with a community of over 1100 users where we share the latest news, updates and deals. Each month TracfoneReviewer collects and checks the latest promotional codes for Tracfone and shares them here on the blog for you to use and benefit from. There's nothing extra to click, and be sure to check the comments from other visitors! 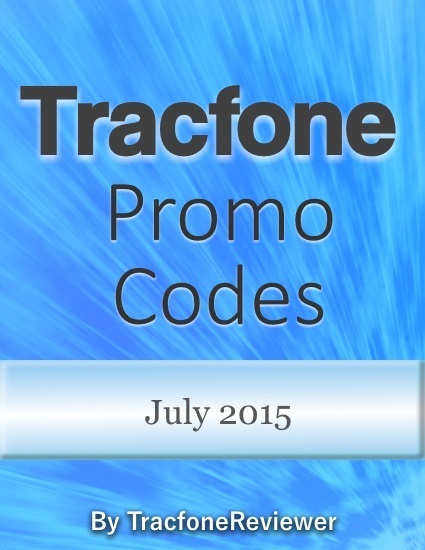 Tracfone Promo Codes for July! 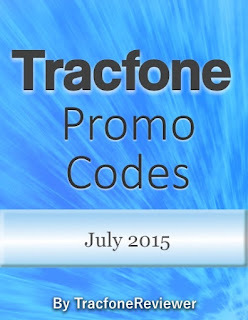 New Promo Codes are available for August on our August Tracfone Promo Codes post! Tracfone is a cell phone and service provider that sells prepaid airtime and inexpensive phones to use with their airtime. Airtime, or minutes, often come in a range of cards that you can buy in retail stores, or many places online. When adding airtime minutes to your phone, you can also use a promotional code to get additional minutes for free, beyond the minutes you get for a double or triple minute phone. We monitor these promo codes and provide them here for you to use. The codes listed below on this page are just the latest codes for July 2015. To see our complete list with many more codes, visit our main Tracfone Promo Codes page. Please note that these promo codes cannot be used with Android devices, like the new LG Power which we recently reviewed. However, visit our Android Phone List if you would like to see all of Tracfone's smartphone devices in one place. When adding these codes, we recommend you add them online, on the Tracfone website, where you can try the codes more than once in case the first option doesn't work. You can also call Tracfone and add the minutes through that. Now, let's get to the list of promo codes that have been updated for July 2015. Hope these codes work for you and enjoy the free minutes! Drop a comment with which codes are working for you. We have more on this blog besides codes! We share lots of additional information relating to Tracfone, so take a moment to explore if you feel like it. We have a full page all about the Tracfone BYOP program, which allows you to bring your own smartphone, like an iPhone 5 or LG G2 to use with Tracfone. You can also visit our helpful post on the Beginners Guide to Tracfone which shares a lot of general knowledge about the different phone options with Tracfone, and how to get a great deal on minutes. And if you're not already apart of the 1000+ following us on Facebook, you might be missing out on important news and updates!